The Annual Cicada, also known as the Dog Day Cicada, provides us with the sound of summer here in the northwest hills of Connecticut. Their mating call is a perfect description of August's sultry days: a loud electric buzzing rattle, high in the trees, that swells with the pressing heat of the sun and fades with the vague beezes. The Cicada, a benign harbinger of hot weather, is well known around the world. 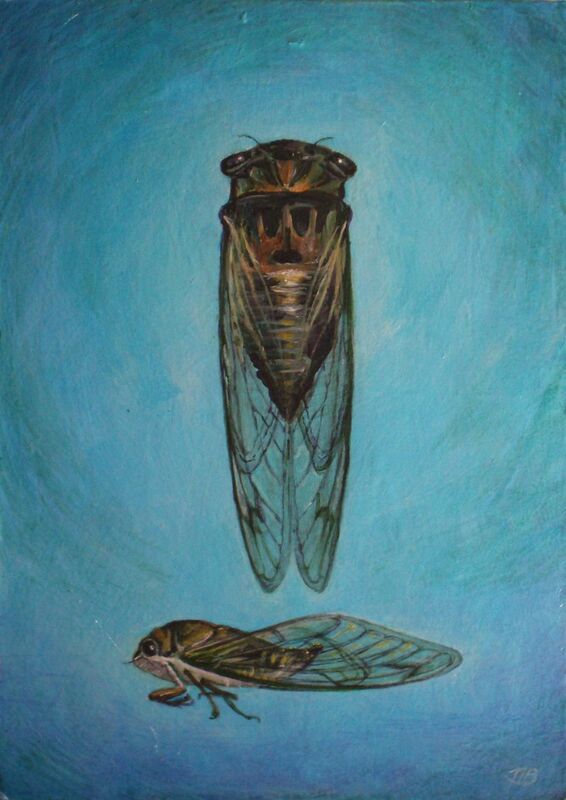 There are many kinds of Cicada, and all are passive creatures, who do not bite or sting, and spend most of their lives underground, unseen. It's their passionate celebration at the culmination of their humble lives that brings them to our attention, and gives them a fond place in the hearts of humans.